WELL, 2018 is coming to a close and we haven’t seen a general election. 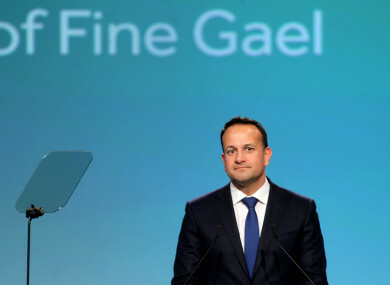 In November, Taoiseach Leo Varadkar said a new confidence and supply deal could be agreed between Fine Gael and Fianna Fáil, and accused Micheál Martin’s party of dragging out the agreement talks. Speaking to RTÉ’s This Week programme, Varadkar denied that he was planning for an early election, despite the poll numbers remaining in his party’s favour and a major tax pledge made yesterday if Fine Gael had its way over the next five Budgets. We last had a general election in February 2016. If the Dáil were to run its full term we wouldn’t be due another one until April 2021. Today we want to know: Do you want a general election in 2019? Email “Poll: Do you want a general election in 2019? ”. Feedback on “Poll: Do you want a general election in 2019? ”.